Weight at Rescue: 89 lbs. 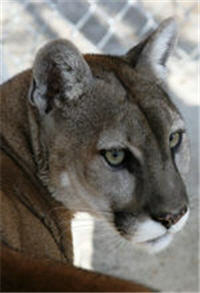 Sierra and her brother Lassiter came from a private owner in east Texas. 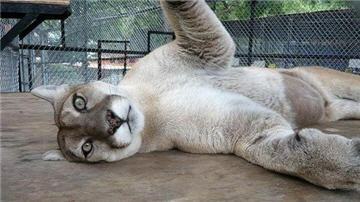 The owner had acquired the cougars when they were 2 years old and kept them for 10 years. 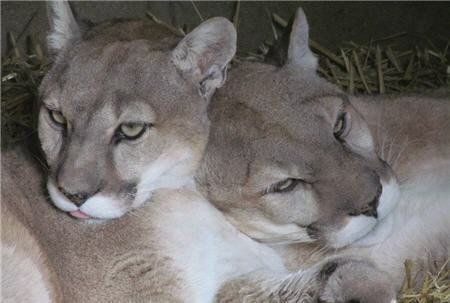 When the owner decided to move, he left the two cougars in the care of his elderly father who didn’t really have the time or desire to care for the cats properly. Realizing that the cats deserved a better life, the owner’s sister called In-Sync in hopes we could provide them with a loving, nurturing home. 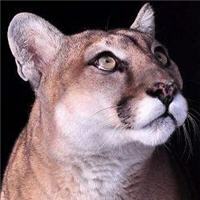 Since we just completed the new cougar habitat, we agreed to take in the cats. Sierra has bone issues in her back knee causing it to pop when she walks. She is very loving and enjoys receiving attention from her caregivers.